No theme tune, no intro from me - just the original session, repaired and remastered and available in a downloadable zip file. 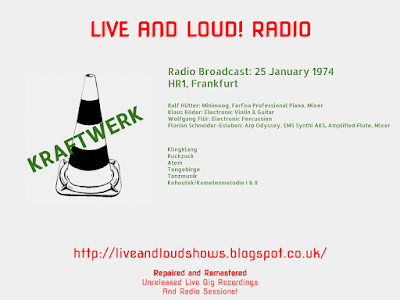 This is a concert specifically created for radio - Kraftwerk were top of a bill featuring 3 acts - more information is available in the download. 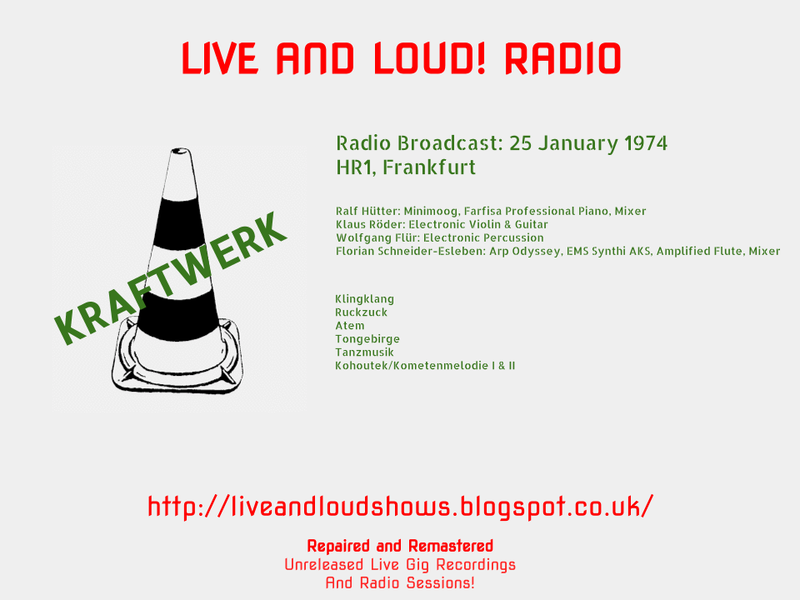 The zip file contains the show and a text file with more information about the original concert and a translation of the German radio announcer. You can get it by clicking here. The original recording has a basic mix with each instrument in a particular place in the stereo image - electronic percussion was bizarrely over on the extreme left, so I've reshaped the stereo image and moved the percussion slightly just to take away the unpleasant effect of having the percussion overload the left hand side too much. I then used 30 band EQ to enhance bass and upper frequencies, creating more "space" in the tracks between the instruments and bringing out detail which you can't hear on the original (to those interested, a screenshot of the EQ is in the zip too). Brilliant! Love these pre-Autobahn recordings of KW.